Inv. 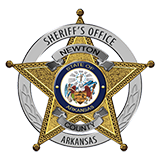 Glenn Wheeler with the Newton County Sheriff’s Office said the search continues near Kyles Landing for a canoer that went missing late yesterday morning. The 65 year old man from the St. Louis area was with a group of three other canoers that had camped overnight along the river on Tuesday night. Rising waters from heavy rains trapped the group who attempted to float out to safety. Each of the four individuals was in their own canoe, although not canoes designed for solo paddling. The group was also carrying camping gear for a multi-day trip. Shortly after getting back on the water, the group encountered trouble and three of the four canoes turned over. One of the individuals was later rescued on an island upstream of Kyles Landing. Two other individuals made it to the campground at Kyles Landing and the fourth was last seen by witnesses passing Kyles Landing. The individual was in the water, not in a canoe. Witnesses last saw the man approximately 150 yards downstream from Kyles Landing. The river level at the time of the incident was at flood stage. Water levels dropped substantially overnight and conditions were greatly improved as the search resumed this morning. Searchers from the Newton County Sheriff’s Office, Tri-County Search and Rescue, Newton County Office of Emergency Services, National Park Service, Arkansas Game and Fish Commission, Arkansas Forestry Commission, Mennonite Disaster Services, and local volunteers are involved in the search and the American Red Cross is on scene assisting with support of the searchers.